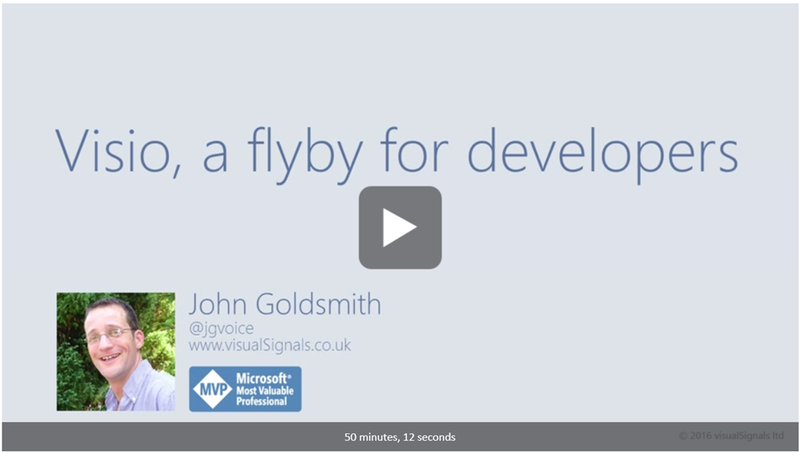 I would like to draw everyone’s attention to a two part Visio developer video series by my good friend and fellow Visio MVP, John Goldsmith. Goto https://channel9.msdn.com/Blogs/MVP-Office-Dev/Visio-a-flyby-for-developers-Part-1 and https://channel9.msdn.com/Blogs/MVP-Office-Dev/Visio-a-flyby-for-developers-Part-2. Well done John! Creating these videos has been a labour of love, I know. Now it is time to spread the love!